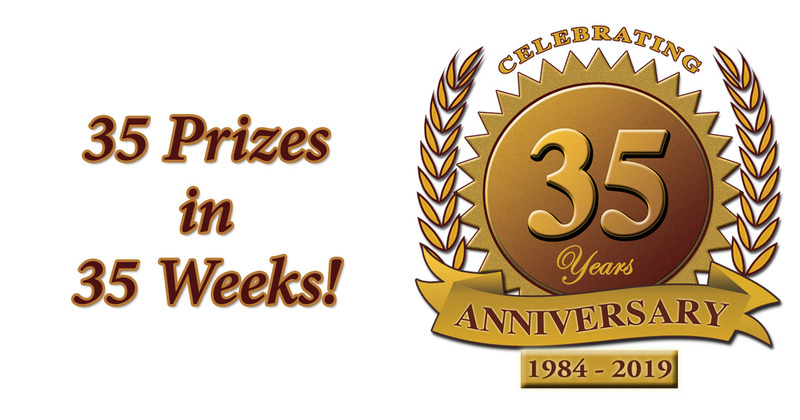 Once per week for the next 35 weeks (April 10, 2019 thru Dec 6, 2019) we will post a trivia question or contest on Facebook. The first person to respond in the comment section of the post with the correct information will win the prize. We will allow 24 hours to submit answers and the winner will be announced after the 24 hours has passed. The 35 winners will be entered in a grand prize draw which will be awarded at the end of the year. All prizes must be picked up at Hanlon Ag Centre- 3005 18 Ave. N., Lethbridge, Alberta. Good luck and thanks for being a part of our 35th anniversary celebration! Facebook Disclaimer: This promotion is in no way sponsored, endorsed or administered by, or associated with Facebook. By entering, Entrants agree to a complete release of Facebook.